On November 4, 2016, at age 89, George Dunbar opened his first full-career retrospective at the New Orleans Museum of Art. Works displayed ranged from the early 1950s through 2015. In New York in the 50s, George was a rising star in the art world. He moved home to Louisiana and introduced New Orleans to abstract art. He and a group of local artists opened a co-op style gallery in the French Quarter – the South’s first contemporary art gallery. At a time in a place wrapped so tightly in old history, George and his fellow artists quenched a long thirst for newness and creativity that few sensed existed in the region. Back in those days, George developed land by morning and then headed to the French Quarter to teach and create art in the afternoon, working well into the night. 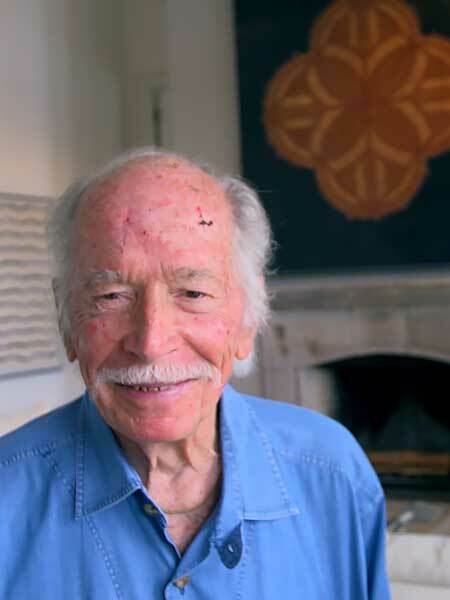 At nearly 90 years old, he retains that same unstoppable energy, going to the gym three or four times a week to keep in shape so he can continue to create art daily. George Dunbar … Peoples Health Champion.